The introduction of autonomous vehicles doesn't just offer traditional carmakers the chance to diversify and grow, they will also allow products and services to be sold to drivers. Research from UBS suggests that revenue related to autonomous vehicles will top out at $2.3 trillion by 2030 and that a huge 70 per cent of this will come from selling things to people that used to drive but no longer do. UBS predicts that self-driving taxi services will be worth $1.2 trillion annually. UBS expects online travel agencies to account for a significant proportion of trips which will be spread out across a plethora of robo-taxi services, QZ reports. The second, and must more attractive to companies, opportunity created by autonomous vehicles will be in-car monetization. It is predicted that $472 billion worth of ads and services could be sold to consumers when an autonomous vehicle is driving itself. 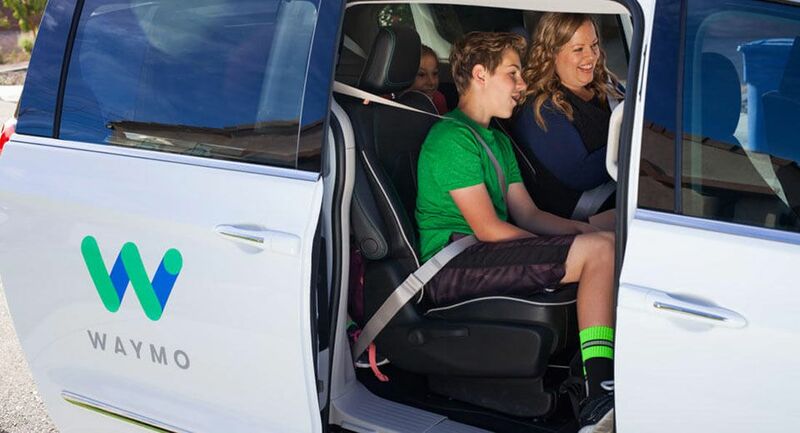 Google parent company Alphabet could profit the most from these new advertising opportunities, capturing up to 60 per cent of all in-car monetization revenue. According to UBS, Google's Waymo self-driving division is worth $75 billion when its opportunities in services and software are considered. As it is, consumers are flooded with hundreds, if not thousands, of advertisements on a daily basis. It only makes sense for companies to explore the brand new opportunity that presents itself to them, namely autonomous cars. We guess that you will be able to disable them in your own vehicle, but would you be comfortable being bombarded with ads when riding on a self-riding taxi?